A group of faculty and students from William Paterson University plan to go to Vieques, Puerto Rico in January to help a radio station rebuild after suffering damages caused by Hurricane Maria, according to a communication department professor. The radio station they will assist is Radio Vieques 90.1 FM. The station was off air for two months after the hurricane, according to an email sent by the general manager of the station, Robert Rabin Siegal. “This is a community radio station, and community radio is very important, particularly in disasters,” said Dr. Diana Peck, a communication professor at the university. 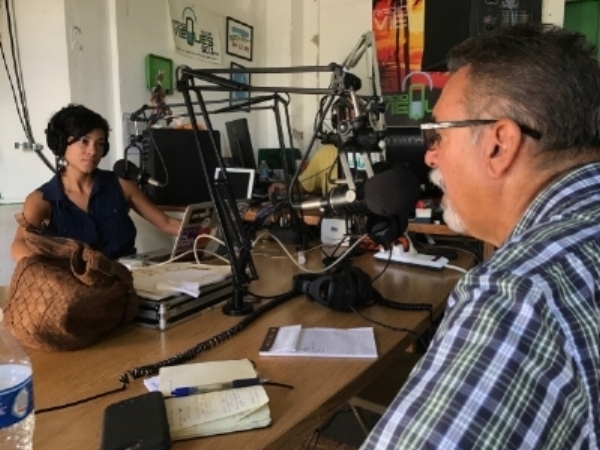 Vieques is still without electricity, and the radio station is operating with generators and on a limited schedule that offers basic information related to emergency and recuperation, according to Siegal. Sebastian Escobar, the radio station manager at the university’s station WP 88.7 Brave New Radio and Dante Portella, who works on the university’s IT staff, will go on the trip and bring donated equipment they will install. The idea was first introduced by Dr. Lori Ramos, an assistant professor in the communication department. Ramos has been visiting Vieques since the ‘90s and has strong connections with the community and the people. One of her close friends, Margo Cheney, recently visited with her after the hurricane. Through conversations with Cheney, Ramos began to learn how much devastation was left by the storm. Ramos presented the issue to Dr. Robert Quicke, chair of the communication department, who then brought the project to Daryl Moore, dean of the College of Arts and Communication. “Everyone here has been so supportive of the idea to help the island through the radio station during the crises,” Ramos said. The faculty members involved with this trip are looking for eight-10 civic-minded students, said Peck. More specifically, they are seeking students with skills in radio, journalism, video production, and social media to go on the trip, which is scheduled for Jan. 3, 2018 – Jan. 10, 2018. Although plans for the trip started with the goal of helping Radio Vieques, students will have the opportunity to help the community, and learn about the island’s history. “It’s what we call a service-learning trip, so they will also be learning about the political and natural history of Puerto Rico, and specifically Vieques,” Peck said. The trip during the winter session will count as a special offerings course if approved by the university, and students will receive credit. Anyone interested in going should contact Peck at Peckd@wpunj.edu, or Ramos at Ramosl@wpunj.edu.